Hi! I'm Vee, a woman on a mission to help as many people as possible to make transformational changes to their health, their vitality and their overall happiness. Whatever your personal goals or dreams, they can be achieved without resorting to restrictive diets or medications. Age is no barrier to having the body, energy and overall health that you desire and deserve. I'm in my 40's and I'm a mum, with a corporate marketing background, and have suffered health issues including gut problems, an autoimmune condition, and severe back problems that led to two back operations. Since then, through a complete revamp of my lifestyle, the way I see the world and my place in it, work/life balance, and of course the way I eat, I am now in the best shape and health I've ever been in. And you can do it too... You can achieve your health and happiness goals... How? With the power of amazing food (and plenty of it) and correct health education, combined with an understanding of the way our minds work - through transformation coaching. 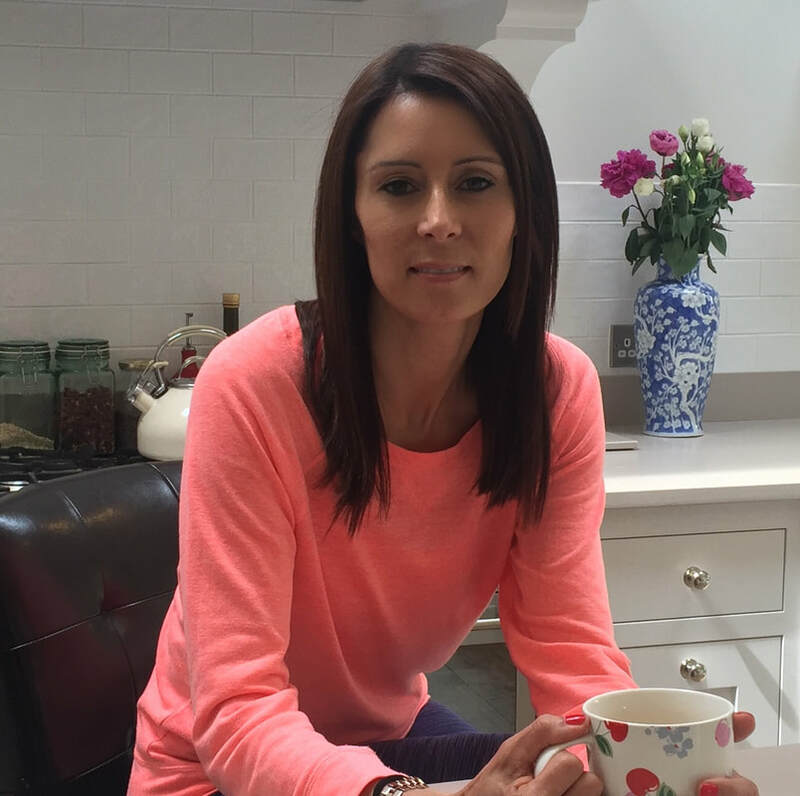 As a qualified Nutritional Therapist, and Wellbeing Coach, I have a huge passion for healthy but delicious food, fitness, essential oils and overall healthy happy living. If you'd like to find out how you can work with me, simply contact me here, I'd love to hear from you.